A premium quality hose made from virgin resin for a longer life, greater flexibility and superior performance, Easy to use self-priming device works well, even in cold temperatures. Just jiggle the siphon head in the liquid to be siphoned and the self priming device begins a gravity flow of liquid. 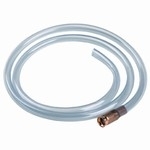 Ideal as a Super Easy Safe Gasoline Siphon or for handling of other corrosive liquids. The super easy to use, Original Safety Siphon hose has a patented self priming pump which removes the hazard of getting dangerous and nasty fluids into your mouth while siphoning. 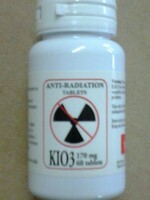 Its one of the safest alternatives to transferring dangerous liquids by other means. Instead of sucking it out with your mouth or hands as you do with most standard siphon hoses, you use a simple vigorous pumping action to start the siphon flow.